Cameroon, June 21, 2018 Ovamba, the award-winning innovator that produced Africa’s’ first “Sharia compliant” ‘FinTech’ and ‘AgriTech’ platforms, was selected among hundreds of candidates as one of the World Economic Forum’s “technology pioneers”. Ovamba is a ground-breaking company with operations on the African Continent and was founded by Viola Llewellyn and Marvin Cole in 2013. 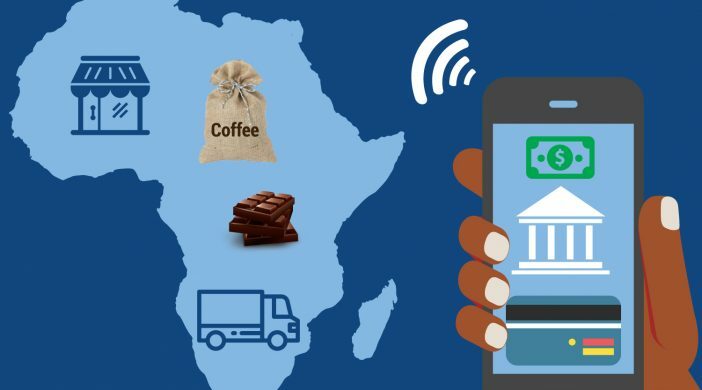 Their unique approach to helping businesses grow combines a proprietary risk model that blends ethnic and cultural data with traditional risk assessment features that are attuned to African realities. Customers who come to Ovamba for support are serviced with eCommerce, logistics & flexible warehousing solutions to promote business growth. In addition, Ovamba’s Natural Language Chatbots give informal businesses in the trade and commodities sector an opportunity to gain access to financial services and business coaching. Following its selection as Technology Pioneer, Co-Founder & President Viola Llewellyn of Ovamba will be participating in the World Economic Forum Annual Meeting of the New Champions. This meeting, also dubbed “Summer Davos” will be held in Tianjin, China, September 18-20. Many Pioneers will also attend the Annual Meeting in Davos, in January 2019, and continue to contribute to Forum initiatives over the course of the next two years. About Ovamba: Ovamba is a US-founded technology innovator that develops online platforms and mobile apps to help businesses in Africa’s trade & commodities/agribusiness sectors to grow. Customers grow when they access & use Ovamba’s combination of short term funding & business tools. Ovamba raises capital from global investors to fund the businesses and uses its technology to solve business and functional literacy challenges to promote financial inclusion (www.ovamba.com).